Can you tell a Bowtruckle from a Niffler? 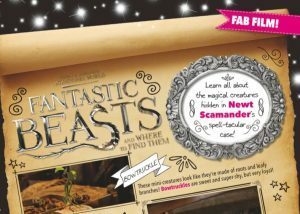 Learn all about the magical creatures hidden in Newt Scamander’s spell-tacular case in the new issue of Animals and You mag, on sale now! Next story Finding Dory Comp!